The collection of the Fondation Vincent van Gogh Arles was created thanks to the donations of important artists of the 20th and 21st centuries who responded to Yolande Clergue’s wish to establish a bridge between contemporary creation and Vincent van Gogh. 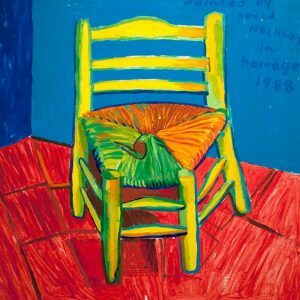 From 1983 to 2009, the legacy of Van Gogh takes shape through various personal tributes. On April 4, 2014, at the inauguration of the Fondation Vincent van Gogh Arles at the Hôtel Léautaud-de-Donines, this collection received the name “Collection Yolande Clergue”. The meeting will be followed by an aperitif.